Leasing a car is a tedious process and it is important that you are starting it correctly. This means gathering the important documentation required to be able to lease a car. If you are interested in leasing a car and don’t know what you should have with you, here are some documents to remember and documents to expect! Lists interest rate, fees, and payments throughout the term as well as the lease-end buy-out amount. Contract termination details and termination fees as well as a lack of insurance penalties and over-mileage penalties. Documentation of all vehicle information. Required to sign all documentation within the contract and yourself and your bank will receive copies. Now that you have an idea of what you need, preparing to lease a car should be a little easier. Headquartered in Cincinnati, Ohio, Swapalease.com is the world’s largest automotive lease marketplace and the pioneer in facilitating lease transfers online. For more information on finding the best car lease deals or to learn how you can have a successful car lease trade, visit Swapalease.com or contact them at 866-SWAPNOW. Summer is right around the corner and the desire for a nice sleek convertible to enjoy the summer breeze and sun are kicking up! You also are looking at convertibles that aren’t too menacing with your gas. Ranging between $15,000 to $25,000, take a peek at these few must-have convertibles to get your summer on and travel! Did you know Swapalease.com also has a great selection of convertibles to choose from?If you’re considering a convertible, consider leasing one through Swapalease.com. Our lease transfer process allows you to afford that convertible of your dreams and easily trade out of the lease at any time. The majority of leasees look for new cars to keep up with the latest cosmetics and gadgets cars have today. However, there are a few who are interested in leasing out a used car. How does it work? Is it the same as leasing a new car? Will I have restrictions? Here are a few tidbits on wanting to lease a used car. When leasing a used car, it is best to look at cars around the two to three years old. Most of them are still under warranty or a certified pre-owned can come with an extended warranty. Keep in mind, sometimes the cost to lease a used model of a car can be the same or above the current year model. Make sure to have a full inspection completed before leasing the car. You don’t want to drive it off the lot if there are problems you cannot see. Also, any problems you find can help lower the cost of the car. There is an option to take over an existing lease, but it needs to be approved first by the leasing company and at the end of the lease, you are responsible for the repairs done by the original owner. A downside to looking for used cars to lease is that there isn’t a wide selection to choose from since fewer companies aim for leasing new cars, not used one. So if you have a specific car in mind, you might need to go for a lease on a new car. Swapalease.com has been helping people who want to switch up their ride for more than 15 years. Headquartered in Cincinnati Ohio, Swapalease.com is an online marketplace that allows drivers to list their current lease and helps match them with buyers looking to take over the remainder of that lease. Both parties get what they’re looking for all with the convenience of online shopping. For more information on finding the best car lease deals or to learn how you can have a successful car lease trade, visit Swapalease.com or contact them at 866-SWAPNOW. Car Lease Expiring Soon But Want To Lease Same Car? It is almost time. The end of your lease is almost here but you have one problem. You love the car and don’t want to give it back! It has become part of your life and you aren’t ready to give it up, but at the same time, you don’t want to buy it either. So the question is, can you lease out the same car? Typically, at the end of a lease, you either hand the car back from the dealership you got it from or you negotiate a deal to buy it. You however like the idea of leasing. How does that work with what you have now? 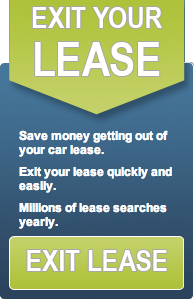 It’s simple really, it is the process of re-leasing the existing car, in other words, a “used car lease”. Here are some quick tidbits about re-leasing. When a new lease is drawn, your car, of course, has lost value so there will be a new depreciation. The cost of the lease agreement will be reduced slightly and you can possibly expect lower monthly payments. If you can’t re-lease your current vehicle, see if leasing company can reclaim vehicle at end of lease or sign a new agreement and trade for a newer model or same model. However, a good thing to keep in mind is that most lenders avoid leasing used cars to avoid risks and some can charge a higher interest rate to re-lease. You can also extend your lease if you don’t want to have a new lease made up.